Out for a drive on a beautiful afternoon? The last thing you’re thinking about is whether or not your car is fully functioning. The birds are singing, the sky is blue and you’re having a wonderful time cruising along while tapping your fingers to the beat of your favorite tunes. Out of nowhere a car passes you and suddenly swings over into your lane with no warning. You jam on the brakes just in time to avoid a rear-end collision. Fortunately, your brakes were properly working. Anything less and the outcome would have been different. At highway speeds, bringing a car to a full stop can take as much as 300 feet depending upon how fast you are going and whether or not your brakes are in good condition. In-town driving requires that your car is able to stop on a dime to avoid rear-end collisions, pedestrians, cyclists, and other unexpected perils of the road. Regardless of your speed, when you need to stop your vehicle, you need it to stop now. Your brakes must always be in good working order. Brakes are at the top of the list when it comes to safety. Knowing when to service or replace your brakes is the key to a safe ride and the safety of others. 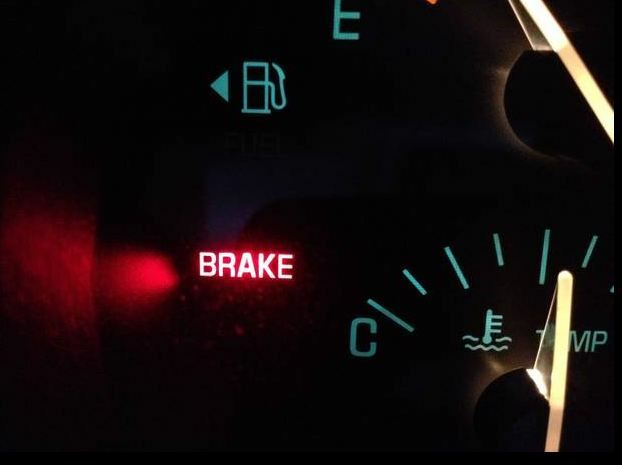 If your dashboard brake light turns on, don’t ignore it; take your car and have it checked out. Is there a high-pitched squeal coming from your wheels? There is a good chance that you need to replace your brake pads. At the sign of the first squeal or screeching sound, head to the repair shop. Replacing pads will save you costly future repairs. Grinding is another warning sound and usually means you’ve gone beyond the point of just replacing brake pads. Grinding noises signal metal on metal; your calipers mostly likely are grinding against the rotors. This repair is far more costly than replacing pads. There are several things that cause a vehicle to pull strongly to the left or right when you step on the brake. Faulty brakes are usually the culprit. Check things like a stuck caliper, collapsed brake hose, or unevenly worn brake pads. If your brakes are okay, the problem might be tires, front-end alignment, or suspension. Whatever the cause, pulling to one side or the other is good reason to head straight to the mechanic. If you have anti-lock brakes it’s normal to feel pulsing in the brake pedal when you execute an emergency stop. However, if you notice pulsing when stepping on the brake for a normal stop, have your brakes checked immediately. Pulsing or vibrating in the brake pedal generally indicates that your rotors are unevenly worn or warped. Heavy duty driving like towing or frequent braking on hilly terrain causes friction and heat and can alter the shape of the rotors. If the mechanic rules out rotor problems it’s possible that you need a front-end alignment. Have you ever stepped on the brake pedal only to feel it go right to the floor? “Soft brakes” means that your brake pads are fully worn out, the hydraulic system is faulty, an air leak exists, or brake fluid is leaking. Have these symptoms checked immediately before they create further mechanical problems, or worse, before you experience a complete braking failure. The opposite response is called “hard brakes” and occurs when the brake pedal is nearly impossible to operate. Your car might have a blockage in the brake line or have an issue in the vacuum system. Soft or hard braking operation requires an immediate trip to the mechanic. Grabbing feels like a jerking motion when you step on the brake. Although it could indicate an unevenly worn rotor, it could be something as simple as needing to change the brake fluid. If any of the described symptoms occur, assume that it is your brakes and have them checked immediately. Always ensure your safety and the safety of your passengers. Although you may be able to fix some of these issues yourself, leave the difficult repairs in the hands of a trusted brake specialist.